Kelford Cams continue to set the standard when it comes to high performance camshafts and valve springs for the GTR engine. 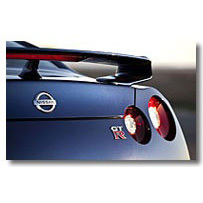 Since their release in 2010, Kelford camshafts have powered the majority of race winning and record breaking GTR's worldwide. Our core value of being 'Better by Design,' has lead to some recent changes to further enhance performance and reliability. The KVS38-BT valve spring set has been engineered specifically to suit the intricacies of the VR38DETT engine. Catalogue offerings cater for a range of applications, from stock engines to well-built competition monsters. However, if you can't find your perfect camshaft within our catalogue, designing custom profiles is our specialty! Simply order the custom camshaft and provide us all the details of your build. Confidential development for race teams is also available. 266/266 Degrees advertised duration, 10.00mm/9.25mm lift. 274/274 Degrees advertised duration, 10.60mm/10.55mm lift. 284/290 Degrees advertised duration, 10.60mm/10.57mm lift. 292/306 Degrees advertised duration, 11.00mm/11.00mm lift. 274&266/274 Degrees advertised duration, 10.60mm&10.55mm/10.55mm lift. 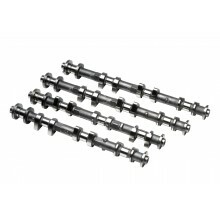 Custom camshafts for Nissan VR38DETT engines.